Allows you to organize and store Gloomhaven game material in the original board game box. 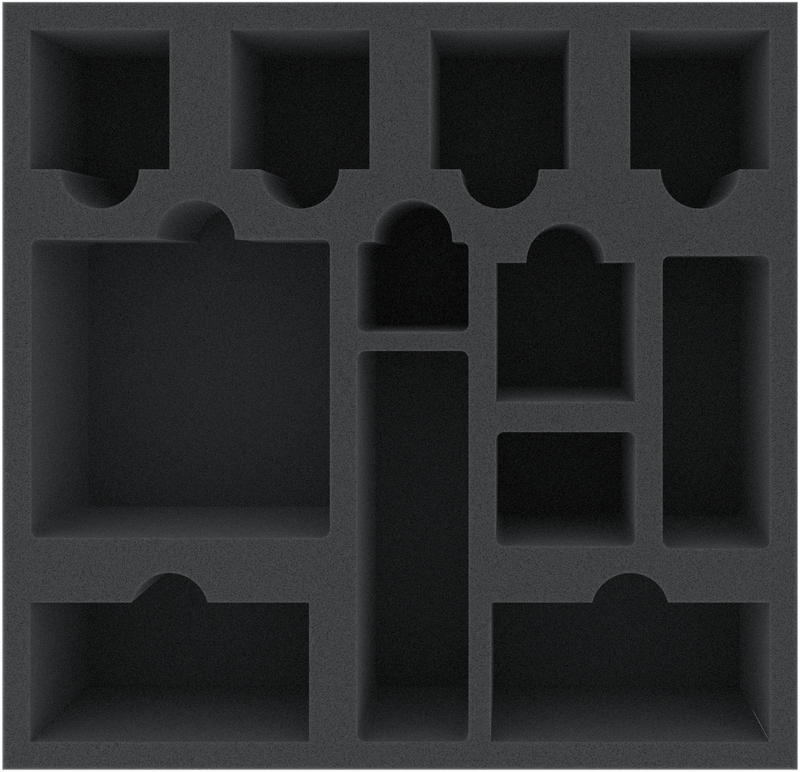 This custom foam insert for the Gloomhaven game box has 12 compartments for game material of the popular Cephalofair board game. The tray fits exactly into the original game box. Next to the tray, there is still space left to store the character tuck boxes. 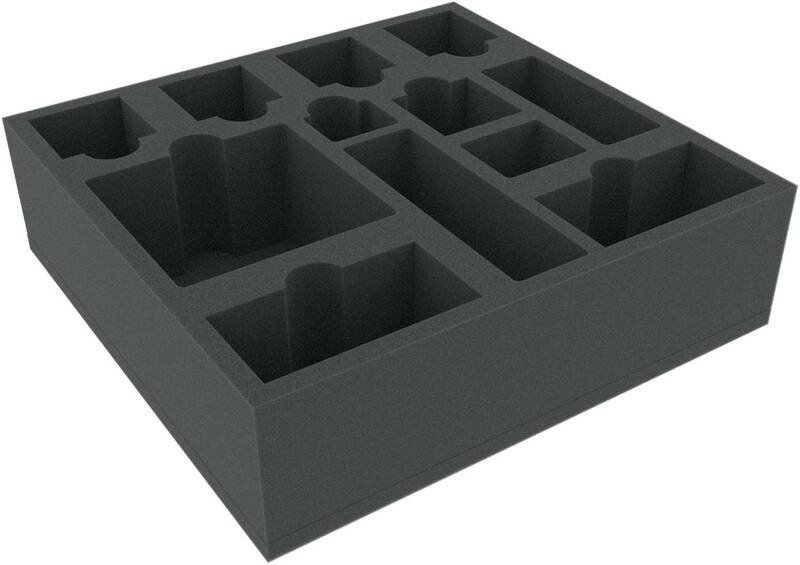 The foam tray has the following dimensions: 285 mm x 275 mm x 80 mm total height (70 mm usable height + 10 mm foam base).